It seems to me that I should be able to simply add the Libraries folder to Eclipse somewhere to point it to the right folder. � Andy Braham Dec 2 '15 at 21:11 You should be able to configure Eclipse to add include paths for the necessary libraries. 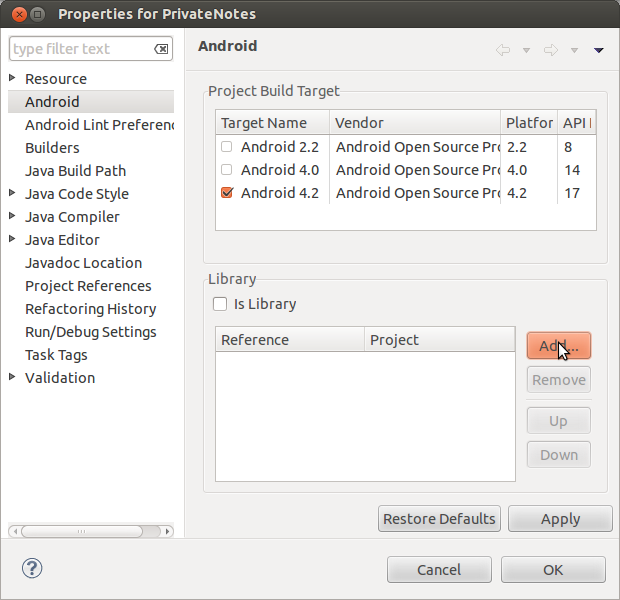 While building, you need to add them as shown above because you want to build them through Eclipse. While running the application, if you don't use Eclipse, then you will need them in your server's class-path (either in WEB-INF\lib or the common\lib folder of the server). create a lib folder in the project itself, add the library files in it and add all the contents of the folder in the class path of that project.